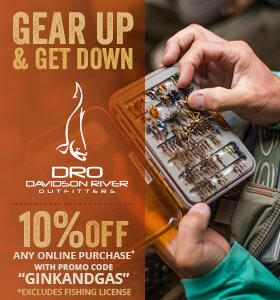 This fly-fishing leader will out perform anything you can buy. 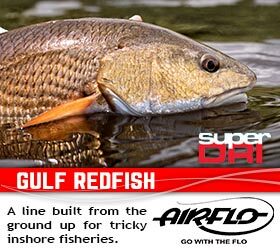 I have used this leader for most of my saltwater fishing for fifteen years. I learned it from my buddy Bruce Chard and have changed it very little in all that time. It offers the angler more control over their presentation than any commercially made leader. The leader has amazing turnover, especially in windy conditions, and also works well for other species like permit and redfish. WATCH THE VIDEO AND LEARN TO TIE AN EFFECTIVE BONEFISH LEADER. 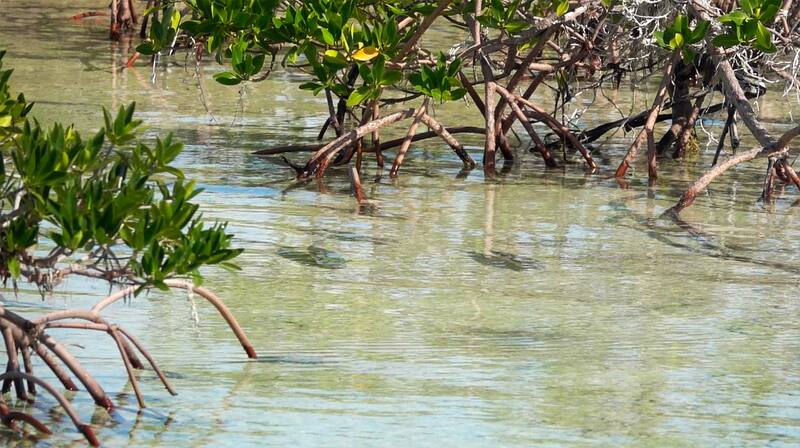 We have had a cancelation for the June 8-15 Bonefish School. This opening is your chance to get in on the fun at Bair’s lodge, South Andros. We generally expect stable weather and calm days this time of year, which adds up to lots of fish. 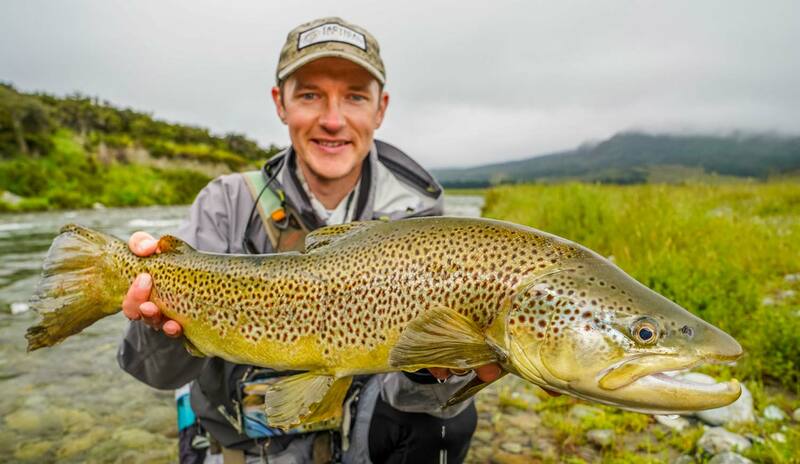 If you’d like to experience a truly remote and unique fishery in one of the most beautiful places on earth, enjoy the service of a top notch lodge, and save a lot of money in the process, this trip is for you. This June is the last Bonefish School at the old price of $3975. We have one spot open June 8-15 and a couple June 15-22. We also have dates available for Jan 2020. You can get all the details on the Hosted Trips page. Shoot me an email to hookups@ginkandgasoline.com for more info or to reserve a spot! If you’re breaking off bonefish, there’s probably and easy fix. Someone asked me not long ago about losing bonefish due to tippet breaking. It happens to the best of us but there are only a couple of ways for it to happen and each has a pretty simple fix. If you follow a few simple guidelines you can cut way down on the number of bonefish you lose. It’s fair to say that several of the potential problems I’m going to talk about apply to almost any species of fish. Some are much more common in the environment where we find bonefish and others just happen more frequently because of the speed with which things happen in bonefishing. It is a demanding game but breaking fish off should not be a problem. Keep in mind that tippet strength is always a concern and in no way a constant. The weight of your tippet has everything to do with where you’re fishing. In locations where bonefish see a lot of pressure, you will need to fish lighter tippet and you will have to be much more diligent. Regardless of the strength of your tippet, there is no reason not to fish to the best of your ability and each of these tips is relevant. How bonefish break off and how to stop them. 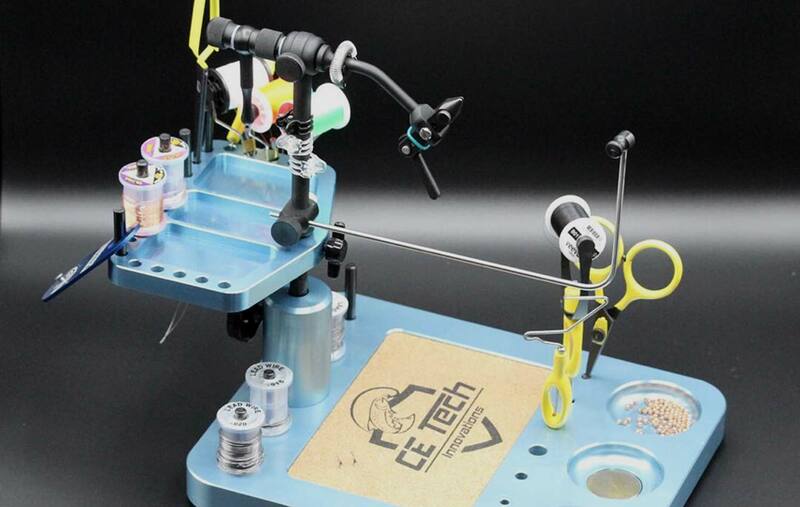 A firm foundation for your vise is critical to the success of your fly tying efforts. This is especially true for tiers who use pedestal bases. For years I have searched for one that gave my vise true stability. I finally found one that delivers that and much more. We all have our opinions about social media. One huge benefit of this technological element is being able to discover new products that might otherwise go unnoticed. A couple months ago I happened upon a post that consisted of one picture. It showed a nicely machined pedestal base and tool caddy. It was evident from the picture how wide the base was in comparison the vise. It wasn’t until I received mine in the mail that I realized how effective and well made it was. The eight by ten inch base is machined out of 6061 aluminum and weighs in at a hearty five and half pounds. This alone was enough to make me fall in love with this product. The stability provided by this platform is nothing short of amazing and has brought a new sense of comfort and confidence to my tying. In addition to its weight, the design of this base functions well and makes sense. At the front of the base sit three machined pockets for holding beads and hooks. Their depth provides enough room to hold large quantities of each. The center pocket contains a Neodymium magnet that will hold onto hook, beads or small children holding silver ware in the next room. The tool caddy displays an additional three pockets that provide more recessed storage for additional hooks and materials. In front of the caddy and behind the base pockets, sits a cork pad that provides grip for any slippery materials. There’s more to spotting fish than having good eyes, so don’t assume you can’t see them. I’m used to being told I have good eyes. Among anglers, that means the ability to spot fish. In truth, I have never had good eyes. I’ve worn glasses my whole life and had to remember where I put them at night because I couldn’t find my glasses, without my glasses. Thanks to the great prescription program at Smith Optics, I’ve always had good fishing glasses and could see well enough. It wasn’t until I developed aggressive cataracts, last year, that I really started to struggle. It’s no secret that I do a lot of bonefishing. They don’t call bonefish the ghosts of the flats for no reason. Their natural camouflage makes them very difficult to see. When I started losing my sight, my greatest fear was that I would no longer be able to spot bonefish. This fear only got worse in the weeks following my first lens replacement surgery. My vision was pretty poor at first and even now, a month past my second surgery, it isn’t what I’d like. I’m confident that it will get to where I want it, but when I headed to Abaco for bonefish, I was pretty nervous about how I would perform. It turns out I did pretty good. It was a huge relief to see my first bonefish, and even better to hear, “good eyes,” when I spotted a fish before my guide. Still, my new eyes are not what they should be and it taught me a few things about what it means to see fish. I see plenty of anglers give up on the idea that they will be able to see fish before they cast to them. If that sounds familiar, here are a few things to think about when you’re looking for fish. You can actually find fish with surprisingly poor visual acuity. ALL FLY CASTING IS ABOUT CONTROL AND TIMING, NOT POWER. This is never more true than in Spey casting. Perhaps because there are more moving parts to a Spey cast, rod and line control are crucial. This is especially challenging for the beginner whose muscle memory is only just developing. Often a cast will “break” for no reason. That is to say that, all of a sudden that double Spey you’ve been throwing all morning just doesn’t work any more. Often the reason is a loss of control. Here’s a tip that will help those of you who are new to two-handed casting maintain control. The first step in a controlled cast is the proper grip. It’s something that doesn’t get talked about enough. 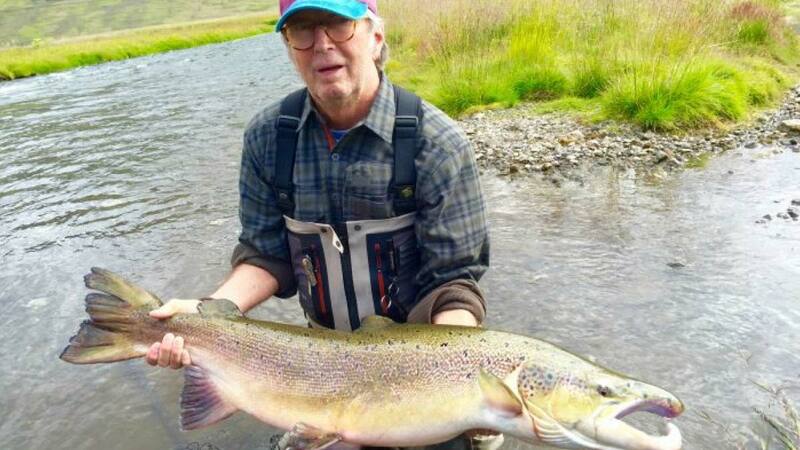 Most anglers who are new to the Spey rod think of it like holding a golf club or baseball bat. A familiar tool for most of us, but the Spey rod is quite different and so is the proper grip. Hold the rod with your finger tips. A gentle grip is all that’s necessary. Using your fingertips accomplishes two things. It keeps your arms relaxed, as you are not tempted to put a death grip on the rod. A relaxed posture is important for fluid movement. Gripping with your fingertips also engages a different set of muscles. Muscles, which are tuned to fine motor skills like writing. Every day on the water is a new beginning. 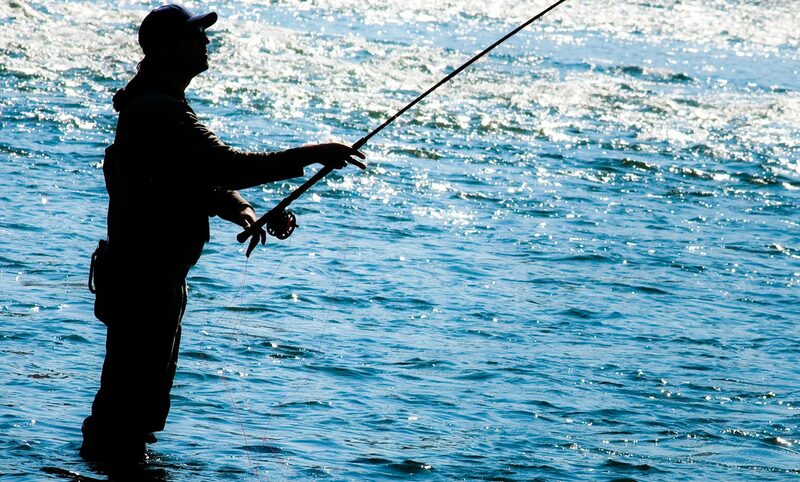 If you fly fish for any time at all, you’ll quickly realize that it’s Mother Nature’s show and we are all just day players. There are lessons around every corner and some of them are in humility. When you are able to accept that and fish for the joy of the bad days as well as the good, you realize, every day on the water changes you. Hopefully for the better. 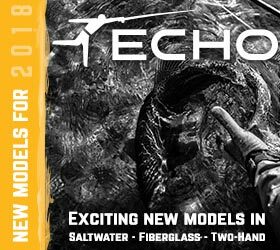 I ran across this story by Devin Olsen on his blog at tacticalflyfisher.com. It’s great to see how a couple of the best anglers on the planet handle getting served on a tough day, and how they turn it around. Here are two ways to pick up your fly line and make a cast without spooking fish. Quiet line pickup is an important skill for fly anglers after any species, but it’s never more important than when bonefishing. Their spooky nature may be the bonefish’s defining characteristic. 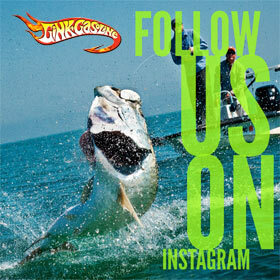 Ad to that the excitement of the moment and it’s easy to spook fish that might otherwise be caught. 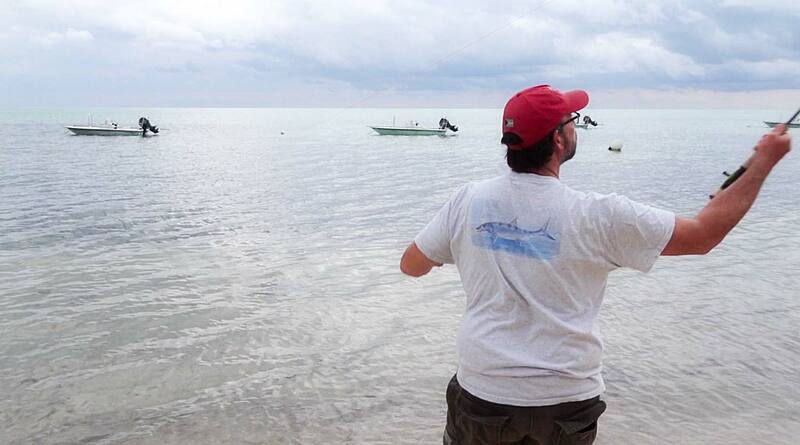 One of the best ways to spook a bonefish is by ripping your line off the water with a loud sizzle. That’ll send them to Cuba. There are two main reasons this happens. Slack in the line when you pick it up off the water, and too much speed too early. It’s easy to do, especially when you’re excited. WATCH THIS VIDEO AND LEARN TWO WAYS TO PICK YOUR FLY LINE UP OFF THE WATER QUIETLY AND MAKE AN EFFECTIVE CAST. Wire is a common ingredient in nymph patterns. Whether in the form of ribbing or full body segments, this material adds the important elements of segmentation, durability and weight. Yet, because of its fairly rigid nature, it can be a difficult material to work with. 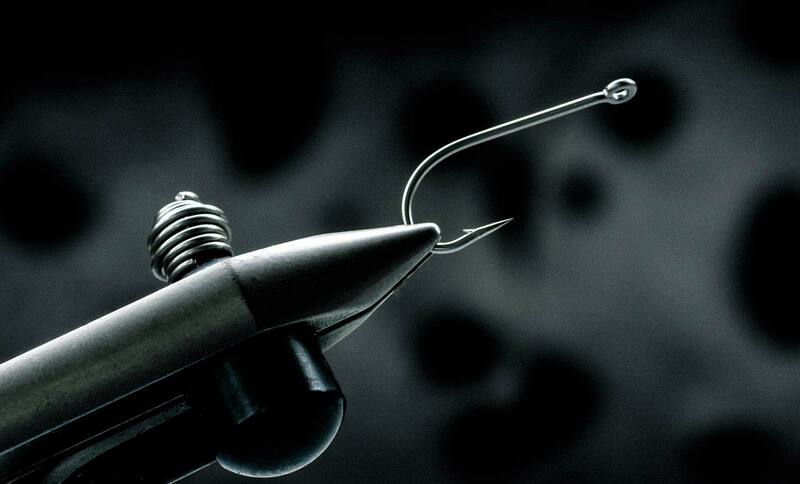 When attaching wire to the hook shank, it’s important that it lands on one of the lateral sides of the hook shank. This means that is should be tied in on the side of the hook either closest to your or the side opposite of that. This ensures that the nymph pattern is widened horizontally and not vertically. This matters because most natural nymphs have horizontally widened bodies. 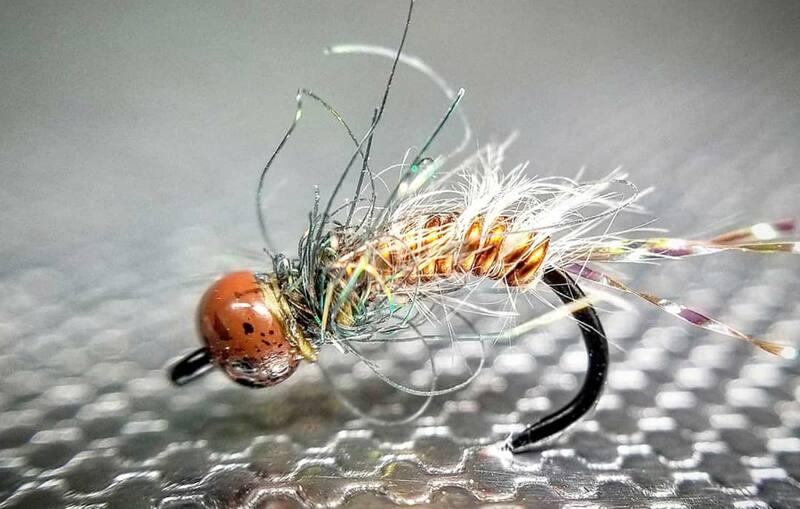 Using this tying method helps to mimic that profile when constructing nymphs. In addition to the tie in location, the consistency of the thread wraps that are laid down matters for two different reasons. If the wraps are laid down without consistent firm tension, the wire will shift position when the tier wraps it forward. Equally important is the spacing of thread wraps laid down on the surface that the wire will be wrapped over. If the wraps are not evenly spaced and create an uneven surface, that same uneven layout will be reflected in the overlying wire wraps. I DREAM OF WAKING IN A FOREST. Or where a forest had been, now sooty black. Smoke swirls, orange eyes peer from hunks of coal. Charred trees accuse the sky. White ashes whirl in the air, angels lifted to heaven. I’ve slept through some great conflagration. I walk, leaving white footprints on blackened ground. Smoke, steals my vision. Trees turn from black to gray, to white. I stop at a river bank where ash becomes grass, high and yellow like autumn. 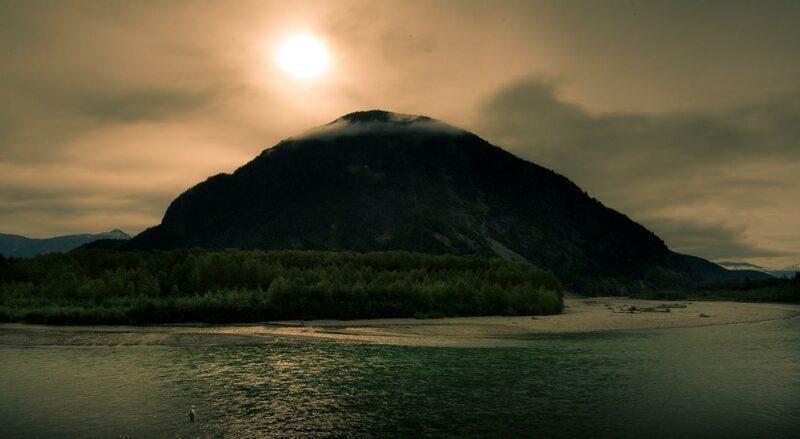 Dark water churns, its surface oily in the soft light. Standing in the river, bare to the waist, my father, his eyes fixed on the water, his hair wet and tossed, his arms outstretched like a cormorant drying its wings. In the current, the dark shapes of fish. I follow the sound of falling water to a large pool ringed with tall grass. At its center, a deep black pit. The pool flows in on itself, the water pouring over a rocky rim, angry, foaming white. The sound deafening. A gaping bottomless maw, ringed with white foaming teeth, swallows the river and roars at the sky. I think of my father now and see him, not drawn and frail. Not balled and withered, eaten with cancer but a strong young man, shirtless with wild, wet hair. A man from a black and white photograph. The luxury of survival, to carve the past in a form more pleasing. 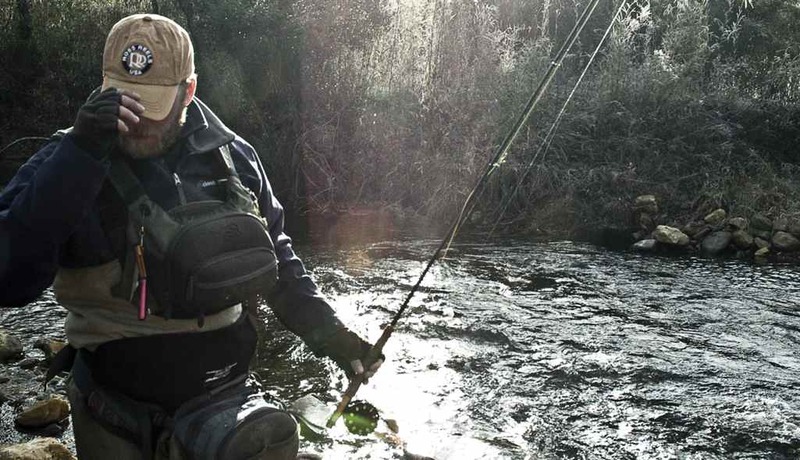 Standing in an Oregon river, in a run instantly familiar, I swing a fly for steelhead.